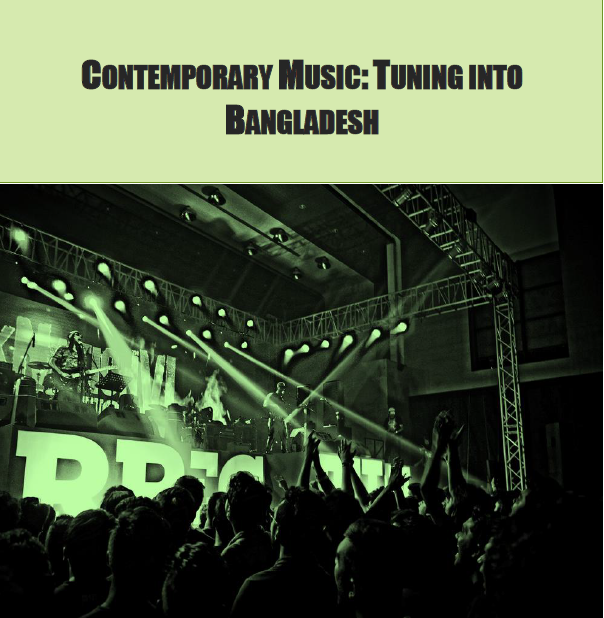 Magazine > Contemporary Music: Tuning into Bangladesh | New report launched! ASEF culture360 is delighted to present a new report on the status of contemporary music in Bangladesh. Commissioned to Livesquare Ltd. and researched by Ayesha Sabrina ISLAM, Contemporary Music: Tuning Into Bangladesh gives a detailed overview of the contemporary music industry in the country, starting from an historical background, to the stakeholders' analysis, the mapping of current trends and finally a set of recommendations for change and improvement. (...)offer an entry point to further national, regional and international linking and networking in, on and for a thriving Bangladeshi music scene. The key idea of the report is to provide an overview of the contemporary music scene in Bangladesh for local and international audiences. Throughout the further run of this paper and if not stated otherwise, the notion of music refers therefore to the sector of contemporary music only. The idea of this report is to provide a consolidated and comprehensive approach to the music scene in Bangladesh. It follows the topics raised and discussed during the 2015 edition of the Bangladesh Music Week, with the aim of filling the gaps. The conversations with key stakeholders of the industry and consumer research at the Bangladesh Music Week have provided the insights and inspiration behind the views share in this paper. 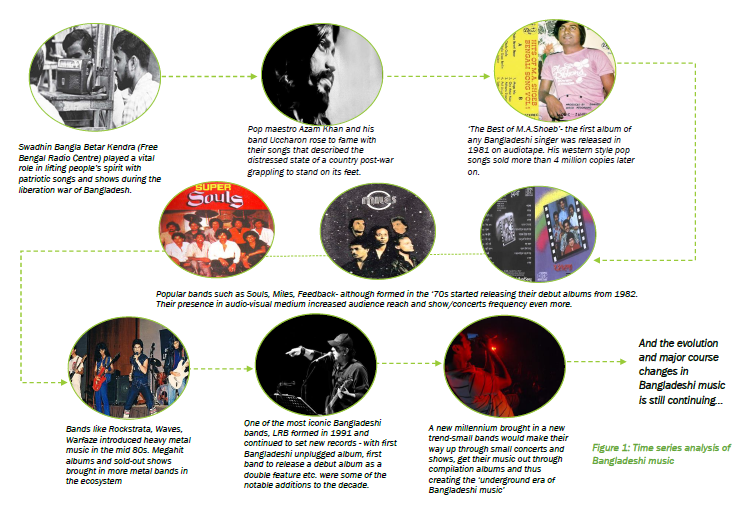 The report provides also some recommendations for the future of the music scene in Bangladesh. Among others, the importance of closing the gap between Classical and Contemporary music, the need for stronger Government support to augment collaborations and participation in international music initiatives, and the importance of developing a vibrant music scene and merchandising to develop sustainable sources of funding for artists.